Why Bundoora Netball & Sports Centre Bundoora? 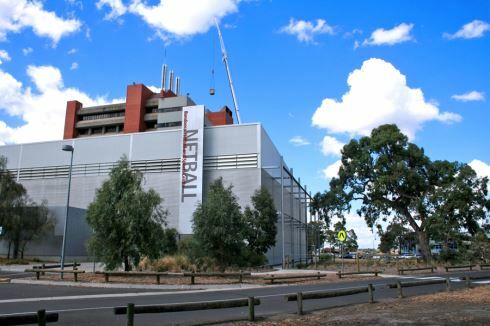 The Bundoora Netball and Sports Centre (BNASC) has a wide range of health and recreation opportunities for people of all ages and abilities and caters to both university students/staff and the wider community. Our Centre offers a great range of programs and services as well as a variety of food at our café including delicious cappuccinos and muffins. Bundoora Netball and Sports Centre’s Fitness Centre is blessed with a range of quality equipment and a friendly and qualified team of fitness instructors. Our experienced, professional and friendly personal trainers are on hand to help you one-on-one with achieving your personal health and fitness goals. Our fully equipped facility provides a full range of fitness and sporting activities for the whole Bundoora community. Qualified Bundoora trainers will work with you to achieve results. Enjoy our selection of free-weights in our Bundoora gym. The spacious gym floor provides a comfortable space for members. A community feel with friendly staff in our Bundooora gym. The Bundoora gym's state of the art cardio theatre. Our Bundoora cycle instructors will push you towards RESULTS! Enjoy our many exciting group fitness classes in our Bundoora gym. International standard indoor netball courts in Bundoora. 3 indoor basketball courts for hire in Bundoora. Bundoora tennis courts available all year round. Three quarter size hockey pitch in Bundoora. Bundoora Netball and Sports Centre has a total of three outdoor and four indoor netball courts available for hire, one of which is of an International standard and is utilised by state netball teams for training. The remainder of our netball courts are highly graded and used regularly by the netball community. Netballs are also available to purchase. We have Several Junior and Senior Netball competitions that are run at BNASC. Enjoy Netball at the Bundoora Netball and Sports Centre. Play with friends or join a competition. Utilised by state netball teams for training in Bundoora. Sick of feeling tired, lethargic and out of breath? Joining the Bundoora Netball and Sports Centre's Fitness Centre is the best way for you to commit to achieving your health and fitness goals. As a University gym, we are able to offer the most competitive prices at a fraction of regular fitness centre prices. Download a pass below and our friendly customer service staff will arrange a trial and tour of our facility.